How Much Do Salvage Yards Pay For Cars When Junking a Car? 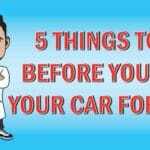 Junk Car Medics » Blog » How Much Do Salvage Yards Pay For Cars When Junking a Car? 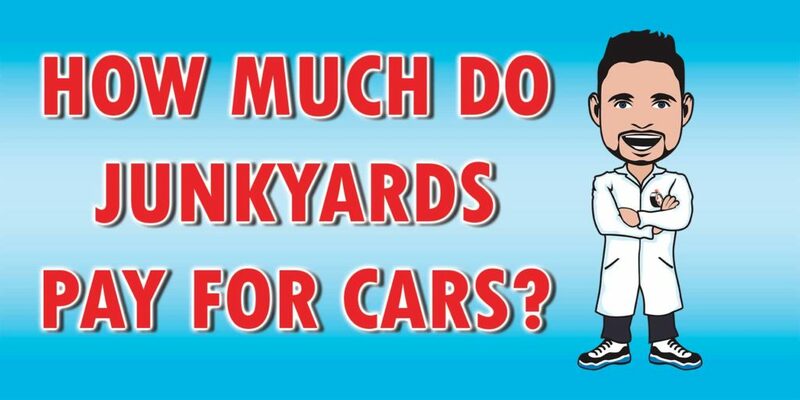 Looking to get rid of a junk car and wondering how much do car salvage yards pay for cars? The fact is that every junk car is worth something, even if it’s not road-ready, but every junk car’s value is different. Luckily, figuring out the value of a junk car is not as complicated as you might think. 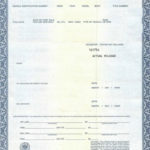 There are 5 simple factors that go into determining the scrap car price of your car and the highest price you can get. The first factor that goes into determining the price of a junk car is the most basic: what type of car is it? The year, make and model of the car determine the current market value of the car and its parts. The Kelley Blue Book value of the used car can be helpful, but junk cars are valued differently, particularly if they have a lot of problems that prevent them from running. Junk cars may be worth up to 20 to 40 percent of the car’s used value. So how does the year/make/model determine the going rate of the car? If the car is still commonly driven, if it’s particularly rare, or if the demand for its parts is high, that car will be valued more highly. If your junker is a common car, like a Nissan Altima, that’s more useful than a Dodge Neon, for example. The year/make/model are also important because car materials can change a great deal from year to year. Different materials are now more common, such as environmentally friendly plastics. As a result, cars from certain years may contain much less steel and aluminum, which plays a large role in determining the scrap value of the car — more on this next. This factor isn’t one that most regular car owners would think about, but it actually plays a huge role in determining the going rate of a junk car. Even cars that aren’t worth salvaging can be turned into scrap metal. The average car contains about 2,400 pounds of steel and 300 pounds of aluminum, after all, and all that metal can be sold and recycled into new products. The catch is that the price of scrap metal varies widely from year to year. It’s all based on the supply and demand of steel and aluminum. For example, when supply for metal is high and demand is low, prices will also be low. Prices also vary for the same reasons depending on the local market. 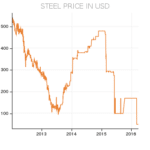 For example, steel scrap prices in Florida ranged from $110 to $140 per net ton in 2017. The condition of the vehicle determines what a buyer will be able to do with it. Will they be able to restore it to working condition and re-sell the car? Will they strip it and sell the spare parts? Or will they turn it into scrap metal and sell that? 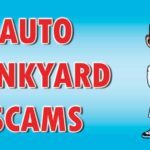 If your junk car has just a couple issues that prevent it from running smoothly, you can ask for more cash than if it’s a complete dud, particularly if the current market value of the car model is high. However, the specific condition still plays a role. If the total cost of repairs to get it running again will be very high, then a buyer won’t be willing to pay as much for the car itself. Along the same lines, if your junk car is a rusted out vehicle that will never make it onto the road again, it will have to be bought for its parts or scrap value, depending on the model. Let’s say you have an old junk car that’s not worth refurbishing. The parts of the car still have value, because everything from the battery to the tires to the radio can potentially be removed and resold. The market value of those parts is based on how high the demand is. The higher the demand, the higher the value. If other people with the same car frequently need repairs, demand is high. If your junker is a rare car for which parts are hard to find, demand is high. Conversely, if your car’s parts are not often resold, the car is probably worth less. Also, certain parts are valued more highly than others, so if your car has working tires, suspension parts, lights and other exterior parts, it’s likely to command a higher value. If, on the other hand, your car is missing parts that have a good resale value, that will lower the going rate. Figuring out the overall market demand for spare parts is also based on a number of other factors, including gasoline prices, the age of the average car and the number of older vehicles in use. Last but not least, the location of your junk car will help determine the price. There are a few different location-specific factors to consider. Firstly, the price of scrap metal varies from region to region. Secondly, the popularity of specific vehicles in a certain area will determine the market rate of the car and its parts. Thirdly, the distance of the salvage yard determines whether the junk car buyer will have to spend extra on transporting the car and its parts. If you are not near a salvage yard or junk car program and the car doesn’t run, you’ll need to account for towing the vehicle to the yard. If a junk car will be scrapped for metal, then the weight of the car also determines how much scrap metal there is. The average car, for example, contains 2,400 pounds of steel and 300 pounds of aluminum. If your car is heavier or lighter, that will affect how much it’s worth. Selling your junk car isn’t as simple as just calling a salvage yard and asking them to haul it away. By arming yourself with as much information about your junk car as possible, you can go into this process ready to negotiate and ask for as much cash as you can. Figuring out what type of value your junk car holds is all you need to settle on a fair rate.